She thought the worst was behind her . 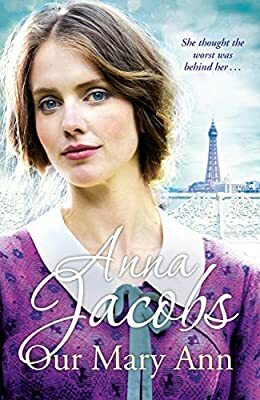 . .
Life is tough in Lancashire in 1905 - and especially so for fifteen-year-old Mary Ann, who was born out of wedlock. When her new stepfather begins to abuse her, Mary Ann doesn't know how much more she can take - until the worst happens and she is sent away to bear his child. After the birth, she manages to escape to Blackpool with the help of her new friend Gabriel. Years later, the Great War brings Mary Ann many new opportunities, and brings Gabriel back into her life - but circumstances mean they can never be together. When her mother dies, Mary Ann decides it's finally time to return to Lancashire and uncover the secrets of her past. But an unknown danger threatens both her and the child she thought she'd lost forever . . .
Will history repeat itself - or will Mary Ann's courage win her the happiness she deserves?